The only thing worse than being a loser is being a loser and a dreamer. For how do you make dreams come true if you can't stop sucking on your monster bong or get off the couch in your mother's basement (where you live)? 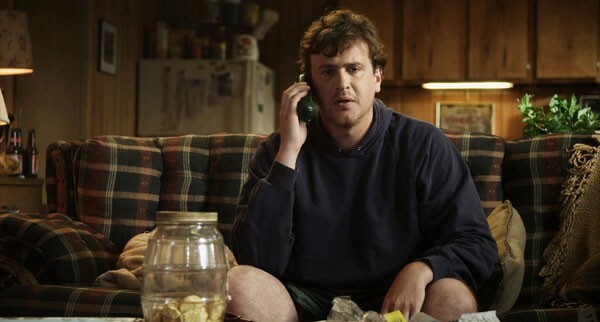 Jeff (Jason Segel) is 30 and that's his dilemma. His brother, Pat (Ed Helms), has a job, but he's a loser/dreamer, too. Where Jeff is a romantic who believes in fate, Pat just buys a Porsche he can't afford and ignores his forlorn wife (Judy Greer). Meanwhile, at work, their mother (Susan Sarandon) has a secret admirer who gives her tingles for the first time since widowhood. In Jeff¸ brothers Jay and Mark Duplass spend an afternoon with these hapless people, using them to humanly contemplate the melancholy of everyday life and the serpentine pathways to happiness. The actors are quite good, especially Segel, a natural sad sack, and, as always, an effortless Sarandon — the often-overlooked contra-Streep. This bittersweet comedy is alternately tender, silly, depressing, contrived, quirky and outright ridiculous, with a climax so awful that it seems like they just stopped trying, and then some final moments that allow you to like it again.